Shop TurboSound TS-PC12-1 Deluxe Water Resistant Protective Cover For iQ12 from AMS with 0% Interest Payment Plans and Free Shipping. The super-tough, black nylon TS-PC12-1 fits your Turbosound loudspeaker like a glove, and protects your investment in tone from the dirt, dust and rain – and is an amazingly-affordable way to keep your gear looking great for years. Your iQ12/iX12 loudspeaker is a finely-crafted audio instrument that deserves the highest degree of protection, so we designed the perfect solution – the TS-PC12-1 deluxe cover. 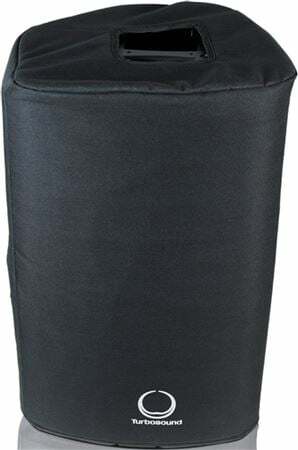 Made of super-tough black nylon, the TS-PC12-1 is a “must-have” accessory for your Turbosound 12" loudspeaker. 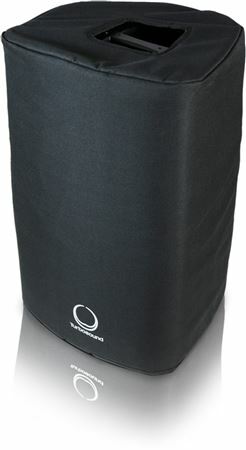 Much more than just an attractive coverup, the TS-PC12-1 is constructed of multiple layers of rugged nylon fabric to keep water, dust and dirt from affecting your loudspeaker investment. 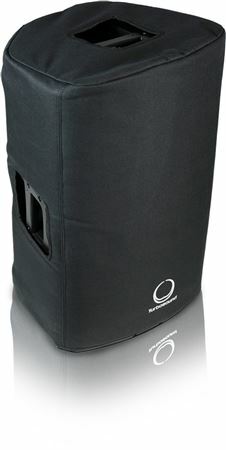 The TS-PC12-1 protects your enclosure during transit to and from the gig – and if the gig or session runs for more than one night, putting the cover back on will protect it from inadvertent spills or other unintentional mishaps. A thick layer of interior foam padding provides superior protection from overly-zealous road crews, and the occasional bang and ding the road can dish out. And because the TS-PC12-1 is designed to fit perfectly and protect your speaker cabinet, custom-sized openings are provided for convenient carry handle access. Shipping Dimensions (W x H x D): 2.8 x 15.0 x 23.6"